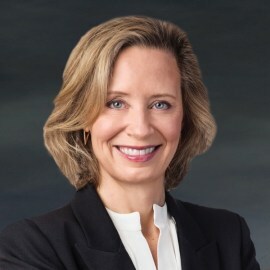 Carey S. Roberts is executive vice president, chief legal officer and corporate secretary, Assurant, Inc. and a member of the company’s Management Committee. She leads Assurant’s global legal department, including compliance, government relations and internal audit. As corporate secretary, Roberts serves as liaison to the Assurant Board of Directors and advises on corporate governance matters. A 20-year veteran working with companies in the insurance, financial services and other regulated industries, Ms. Roberts joined Assurant from Marsh & McLennan Companies, Inc., where she served as deputy general counsel and corporate secretary since October 2014, adding the role of chief compliance officer in September 2015. Prior to joining Marsh & McLennan, Ms. Roberts spent 17 years at the law firm of Covington & Burling LLP, becoming a partner in the firm’s Corporate Department in 2005. While at the firm, she advised a wide range of private and public companies on securities, finance, regulatory, employee compensation and benefits, intellectual property, technology and general corporate matters. In the course of her career, she has worked in such major markets as New York, San Francisco and Washington, D.C.
Ms. Roberts has published articles in professional journals and performed award-winning pro bono work on behalf of victims of domestic violence. She is active with conservation and arts organizations and serves on the Board of Directors of The American Alpine Club. Ms. Roberts received her bachelor’s degree from the University of Chicago and her law degree from the George Washington University Law School, both with honors.